These two frames of reference reminded me that I should have purchased the book much earlier than I did. Indeed, whatever else urges us to talk with a counselor-type, the challenge of relationships, and the inexorable conditions of life are among the primary influences. Yalom’s first frame of reference: the difficulty of developing and sustaining gratifying relationships. For all the value of gathering information about a person’s history in therapy, Yalom emphasizes the “here-and-now” importance of the “therapy relationship”; the importance of interpersonal relationships, and the idea of therapy as a social microcosm. This is to say that sometimes the interpersonal problems a person has with others (spouse, partner, parent, friend, coworker) will manifest itself in the “here-and-now” of the therapy relationship. This emphasizes something I’ve written about in earlier blogs; that what we do not or cannot communicate directly, we evoke or (re)enact with others. It’s basically the nonconscious, nonverbal behaviors we communicate unawares. Rather than talk objectively about Albert’s frustration with his girlfriend, Yalom used the therapy relationship to talk directly about Albert’s difficulty with expressing feelings. Yalom’s second frame of reference: our confrontation with the “givens” of existence. 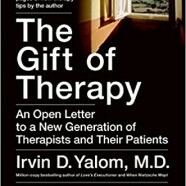 Yalom writes: “The existential psychotherapy approach posits that the inner conflict bedeviling us issues not only from our struggle with suppressed instinctual strivings or internalized significant adults or shards of forgotten traumatic memories, but also from our confrontation with the ‘givens’ of existence. “Reasonable happiness.” Sometimes I read the claims of therapies and therapists and think, “Wow! ‘Banish anxiety forever!’ ‘Live the stress-free life you’ve always dreamed of! '” Obviously, I’m being both facetious and satirical. 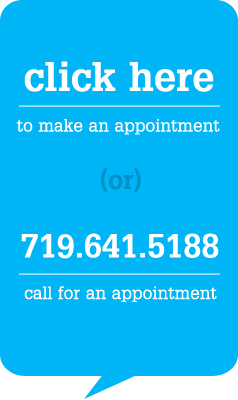 There’s no question about the potential efficacy of therapy, but “absolute happiness?” No way. We know better. Thus, the prayerful and realistic petition: “That I may be reasonably happy in this life.” That’s what we’re after. It’s one of the gifts of therapy.